← Extreme Camping – The Most Dangerous Campsite in the World! Whatever you need for your watersports addiction, Rip Curl can usually kit you out from head to toe. Rip Curl offer amazing warranties and after sales service which help contribute to their growing popularity. The support is unwavering: Rip Curl wetsuits work and world champions regularly choose them to compete and win! Started back in 1969 by two surfers, the company has grown to dominate the market and the Rip Curl Dawn Patrol Wetsuit is enjoying a lot of success in the surf community. The first Dawn Patrol Rip Curl wetsuit was launched all the way back in the 80s and even back then, it set new precedents for comfort and functionality. Rip Curl wetsuits have taken all the most popular features and enhanced them to bring Dawn Patrol suits back to the forefront of the market. Available in many different styles and sizes, there is something for everyone. Having gone through a remarkable make over, one of the most popular Rip Curl wetsuits available, the Dawn Patrol is back and is already renowned for being a quality suit that won’t break the bank. It features many specs that wouldn’t normally be found in a suit in this price range which makes it a great choice for beginners and professionals alike. The suit uses E3 neoprene throughout to ensure maximum flexibility in the upper and lower body. Ideal for use throughout the summer – even at the very beginning and the tail end – this 3/2mm wetsuit offers plenty of warmth as well as comfort. The seams are glued and stitched and the whole suit is lined for extra warmth. The blue steel overlapping zip is quite the innovative design addition. It’s water resistant and protects against water ingress. Twin that with the flexible, seamless shoulder panels and you can enjoy many hours in the water without any discomfort. The only downside is that the material might not be thick enough if you spend most of your time in cooler waters. It really depends on how resilient you are! This suit fits beautifully to the body and is super comfortable. You can choose from a range of color detailing including black, red and blue and the suit really looks the part with the famous Rip Curl logo emblazoned on the chest. The seams offer maximum strength being both glued and stitched ensuring zero water penetration. The Fireskin lining gives wonderful warmth and will speed water away from the body to retain that heat. The s-flex knees are extremely durable not to mention flexible and the hydro-loc collar creates a proper seal and prevents water flushes. This suit is also available in a ladies’ style and fit which features all of the high tech characteristics of the men’s version. 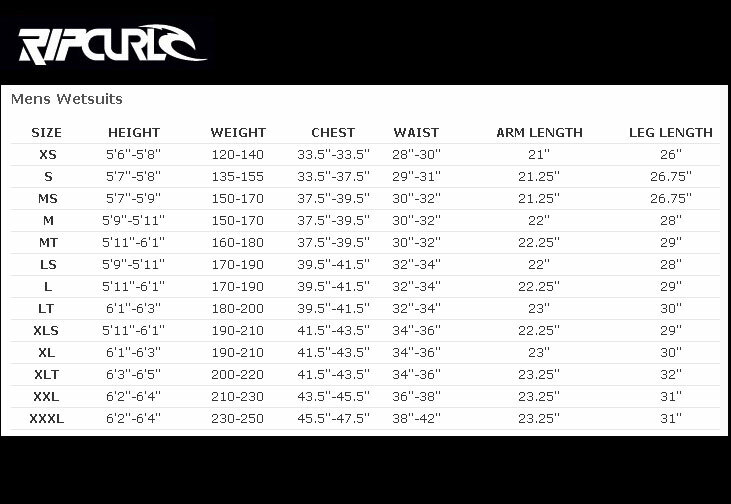 If you are confused about ‘how to choose a wetsuit’, click here for more information. 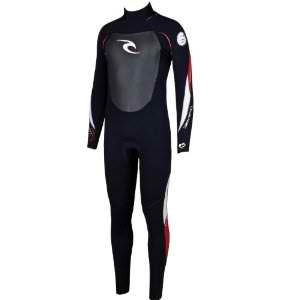 This entry was posted in Reviews, Rip Curl, Rip Curl, Scuba Diving, Surfing, Wetsuits, Wetsuits and tagged Ripcurl, Scuba Diving Equipment, Wetsuit. Bookmark the permalink.